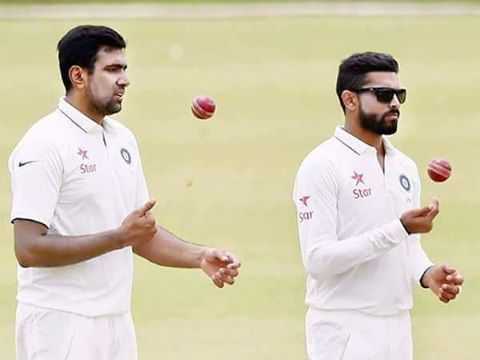 Melbourne: India coach Ravi Shastri on Sunday said that both the spinners Ravichandran Ashwin and Ravindra Jadeja are still injured ahead of the third Test against Australia at MCG. While Ashwin was ruled out of the 2nd Test due to an abdominal strain. Shastri also revealed that Jadeja, who has not played either of the first two Tests, is under treatment of shoulder injury. ''The problem with Jaddu (Jadeja) is that he had taken an injection four days into coming to Australia, because of some stiffness in the shoulder and it took a while for that injection to settle down,? The coach told the reporters. So when you look at Perth, we felt that he was maybe 60-70 percent fit and that we didn't want to risk that in Perth. If he was 80 percent fit here (MCG), he will play,? he added.Shastri further said that we will evaluate Ashwin's health before match. The 56-year-old Shastri also spoke about Virat Kohli's on-field behaviour, and said that there is nothing wrong in celebrating wickets. What's wrong with his behaviour. As far as we are concerned, he is an absolute gentleman,? he said. "When you are millions of miles away, it is very easy to fire blanks. Their comments are too far away and we are in the Southern hemisphere. We have to do what's best for the team, as simple as that," he further added.